NYC, 02/13/2019, 6:30PM. Too Black to be French: One Woman's Story. “Where are you from?” is the question that black French people are asked the most, the question that pops up the most spontaneously in conversation. “Where are you from?” asks the friend of a friend at a party, the person next to you at a dinner, the colleague trying to make friends, the perfect stranger. 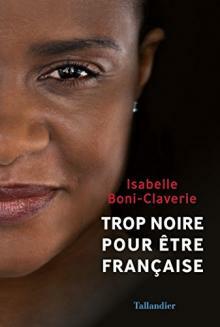 At the age of 6, Isabelle Boni-Claverie discovered that she was black. She dreamed of playing Mary in the school nativity play. She would be Balthazar, the Wise Man from Africa. For this little girl raised in an affluent neighborhood of Paris, it was a shock. Isabelle Boni-Claverie tells her story, from Paris to Abidjan, from her private Catholic school to working in television. A black woman from a privileged social background, she nonetheless has to face the obvious: in France, class does not erase race. She weaves her story with her grandfather’s, an African man who became a magistrate of the French Republic in the 1930s, and the husband of a young woman from the rural town of Gaillac, the first local to marry a black man.